By Robin Scagell with maps by Wil Tirion. 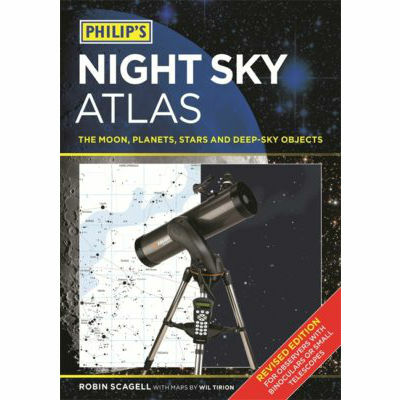 The brand new Philip’s Night Sky Atlas is a highly practical atlas for observers using binoculars or a small telescope. 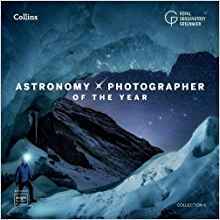 It is an ideal choice for the back-yard astronomer, with a sturdy, damp-proof binding and pages that can be opened out flat without coming loose. 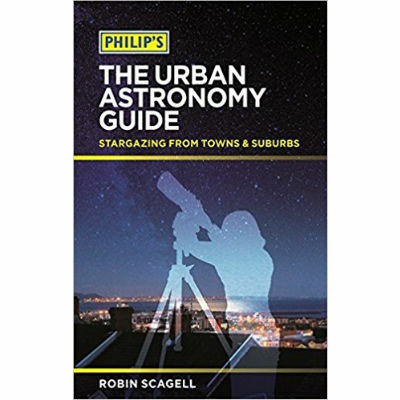 Philip’s Night Sky Atlas begins by presenting the whole sky in a series of six maps, showing stars down to magnitude 5.5 – all visible with binoculars or a small telescope. These maps are drawn with black stars on a white background, so that observers can pencil their own observations on to the charts, and are printed on tough paper that can withstand repeated ‘rubbings out’. Opposite each map is a ‘photorealistic’ image which shows how the same portion of the sky appears to the naked eye. The next group of maps show the most interesting parts of the sky at a much larger scale, in 40 full-colour constellation charts, accompanied by colour photographs and drawings and a detailed explanatory text. 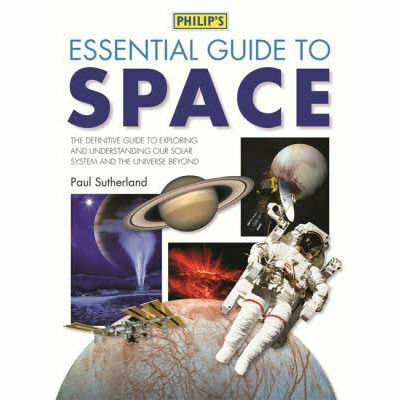 The next section deals with the Moon and planets. 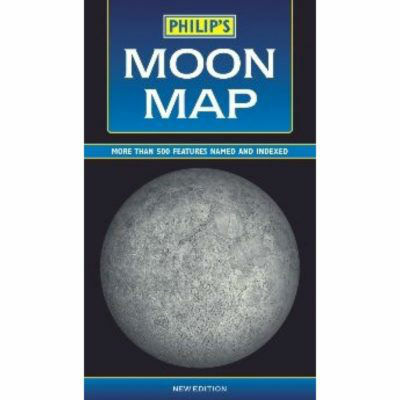 A fully annotated map of the Moon is accompanied by an introductory guide to lunar observing. A map of Mars shows the major zones of the planet as they can be seen through a telescope. Photographs, drawings and tables of location data are provided for Mars and the other planets of our Solar System. The final section of the atlas provides further data on deep sky objects such as galaxies, double stars and nebulae, and includes lists of interesting targets for observation.